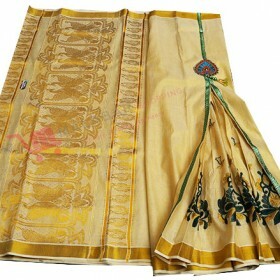 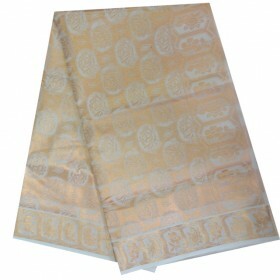 Just Buy Kerala Special pleats Stiched Kasavu Saree.Special designed kuthampully kasavu saree with g..
Kuthanpully Special tissue embose check Design Kasavu saree depicts the popular golden design in its..
Kerala traditional saree with a most mesmerizing hand painted design for saree lovers to get a moder..
Kerala elephant design kasavu saree with a broad 3" with small elephant print on the border. 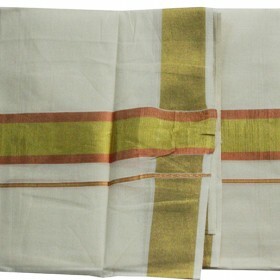 T..
Latest kerala kasavu mundu brocaded with 3 cm orange and golden kasavu and thin golden kasavu is spe.. 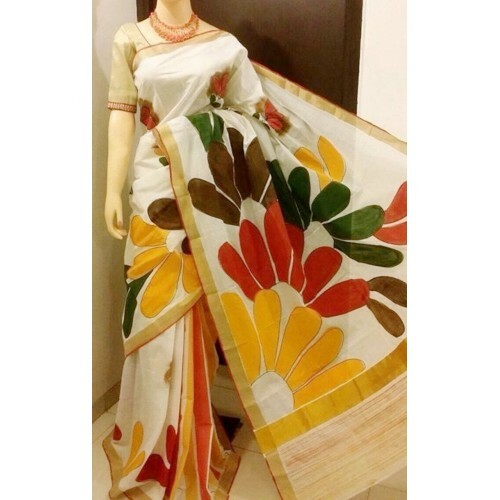 Here is your trendy cotton Kerala kasavu saree with off white color having hand painted mehndi floral design on its pallu along with the golden kasavu border. 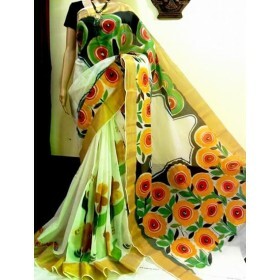 On the front fleet it has yellow with orange stripe which makes it marvellous. 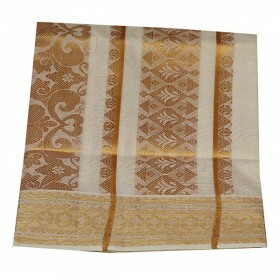 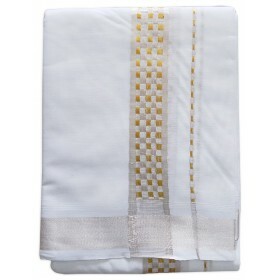 Golden kasavu on the both sides give traditional look. 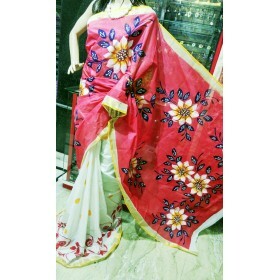 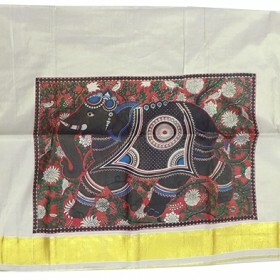 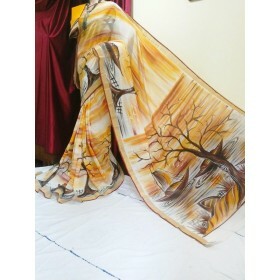 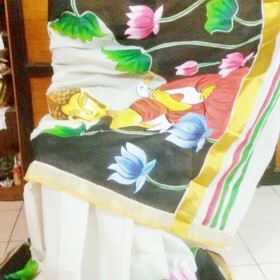 This is a new collection of pure cotton saree for any aged people to make them beauty in all special function. 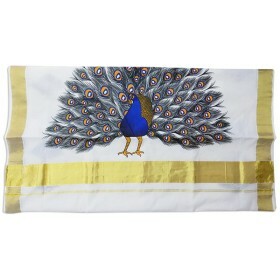 Running blouse comes along.